In this deeply researched and fast-moving narrative, Kendi chronicles the entire story of antiBlack racist ideas and their staggering power over the course of American history. 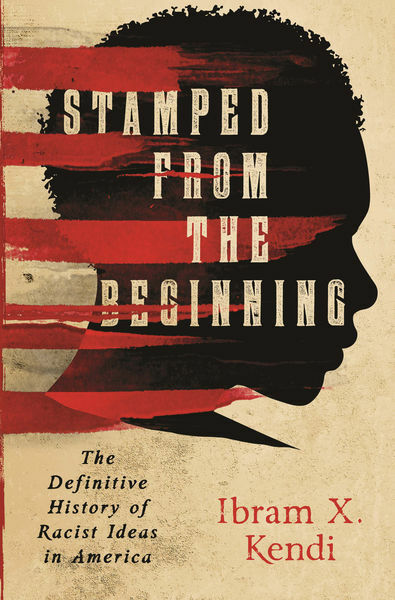 Stamped from the Beginning uses the lives of five major American intellectuals to offer a window into the contentious debates between assimilationists and segregationists and between racists and antiracists. From Puritan minister Cotton Mather to Thomas Jefferson, from fiery abolitionist William Lloyd Garrison to brilliant scholar W. E. B. Du Bois to legendary antiprison activist Angela Davis, Kendi shows how and why some of our leading proslavery and procivil rights thinkers have challenged or helped cement racist ideas in America. As Kendi provocatively illustrates, racist thinking did not arise from ignorance or hatred. Racist ideas were created and popularized in an effort to defend deeply entrenched discriminatory policies and to rationalize the nation’s racial inequities in everything from wealth to health. While racist ideas are easily produced and easily consumed, they can also be discredited. In shedding muchneeded light on the murky history of racist ideas, Stamped from the Beginning offers us the tools we need to expose themand in the process, gives us reason to hope.